(1) Upcoming Shabbat: Discovering Shabbat Morning (2) Community Havdalah Service & Social (3) Last Thursday Witness (4) Beginning the B'nai Mitzvah Journey (5) Eye-Opening & Unexpected Stories from Jewish History (6) Tikkun Olam Global Meeting (7) PHFS Volunteer Orientations (8) Kabbalat Shabbat (9) Planning Meeting for 40th Anniversary Celebration (10) Singing Circle to Prepare for Shabbaton (11) Joey Weisenberg Shabbaton (12) Member Registration Deadline for "Thinking About Israel/Palestine" (13) 12th Annual Sara Glasgow Cogan Memorial Lecture: Is American Democracy in Danger? (14) Weekend In Quest - Still Time to Register! (15) "The Chosen People? A Film About Jewish Identity" (16) Lift Urban Portland Needs You (17) Talking Points About Immigration (18) Volunteer Opportunities at Havurah **In Gmail, click on "view entire message" in lower left to see all posts. (2) 19th Annual Community Havdalah Service and Social, Saturday, Feb. 2, 7:00 pm, Cedar Sinai Park, 6125 SW Boundary Street – Havdalah service with music, refreshments, conversation, and Israeli dance demonstration (including Havurah member Cindy Merrill). Rabbi Ariel Stone will lead the service. Event is sponsored by Jewish Women's Round Table in cooperation with Cedar Sinai Park and area synagogues and Jewish organizations. Questions? Contact Adele Thompson at adeledt@live.com. (3) Last Thursday Witness - IMIrJ (Interfaith Movement for Immigrant Justice) ICE Vigil, Thursday, Jan. 31, 10:00 am, 4310 SW Macadam Ave. – Gather in vigil as we express our support and love for families affected by ICE detentions. Join this monthly gathering to lift up the reality of what happens every day at the Portland ICE facility and participate in solidarity in various interfaith expressions and rituals. Carpooling is encouraged as parking is very limited. (4) Beginning the B’nai Mitzvah Journey: Why, When & How, Sunday, Feb. 3, 10:00 am-12:00 pm – This workshop for parents intends to launch families on the b’nai mitzvah journey. Rabbi Benjamin will begin with a focus on the rite of passage itself, then families will learn about the date selection process. Led by Rabbi Benjamin, David Newman, and Michael Evans. RSVP here. (5) Eye-opening and Unexpected Stories from Jewish History, Sundays, Feb. 3, 10, 24, 10:00-11:30 am – Educator David Feder, who also happens to be our Havurah High teacher, will lead a series of classes that span knowledge of ancient, medieval, and modern Judaism and explore how stories of diversity and problem-solving can unite us going forward. Take one class or all of them - your choice! Learn more and register here. (6) Tikkun Olam Global Meeting, Sunday, Feb. 3, 1:00 pm – I hope you will join us for the second Tikkun Olam Global meeting where we will continue our discussion of our mission and start talking about a project to take on. Tikkun Olam Global takes a global perspective on Havurah's Tikkun Olam work. We are looking at the challenges faced by the developing countries of the world and thinking about how Havurah can make a difference. This is an opportunity to get on the ground floor of an exciting new Havurah initiative. - David Newman, davnew2@earthlink.net. (7) Portland Homeless Family Solutions (PHFS) New Volunteer Orientations, Feb. 4 at 1:00 pm, Feb. 13 at 6:00 pm, Feb. 21 at 5:00 pm, 6220 SE 92nd – So you've been reading about Havurah's volunteering with Portland Homeless Family Solutions for some time now. An orientation could be your first step to becoming a volunteer or an opportunity to learn more about homelessness in Portland and the work that PHFS does. Children can attend if they will be volunteering too, but their attendance at the orientation is not required. RSVP with your name and which orientation date to Bethany Rocci at bethany@pdxhfs.org. Our catered vegetarian Kabbalat Shabbat dinner begins at 6:30 pm, followed by a short, joyful, and musical Kabbalat Shabbat service at 7:30 pm, led by Rabbi Benjamin and Havurah musicians. RSVP here by Feb. 3 for the dinner. All are welcome at the 7:30 pm service, no RSVP required. Childcare is available. For cost adjustments for the dinner, please call 503-248-4662. (9) Planning Meeting for 40th Anniversary Celebration, Monday, Feb. 11, 7:00 pm – We're combining the celebration of Havurah's 40th anniversary and our spring fundraiser this year for a party on May 19! Join Nancy Becker, Fran Berg, and Debbi Nadell for a planning meeting to kick off our efforts. All members and your ideas are welcome! (10) Singing Circle to Prepare for Shabbaton, Tuesday, Feb. 12, 7:00-8:30 pm – Shaarie Torah has offered to host a singing circle on Feb. 12 so people attending the Joey Weisenberg Shabbaton the following weekend can learn a few of his chants in advance. Shaarie Torah will schedule the singing circle if five or more Havurah members are interested in attending it. (Shaarie Torah anticipates 5-8 of its members will attend.) Please email teri@havurahshalom.org if you’re interested. (11) Shabbaton Weekend with Joey Weisenberg, Friday-Sunday, Feb. 15-17, Shaarie Torah, 920 NW 25th Ave – Havurah members are invited to participate in a Shabbaton weekend at Shaarie Torah with acclaimed musician, author, and teacher Joey Weisenberg. No community minyan will be planned at Havurah that Saturday to give Havurah members an opportunity to join the Friday night and Saturday morning services with Joey Weisenberg. The Saturday service will be followed by a Kiddush lunch and, later that afternoon, a singing circle. A special singing workshop is scheduled for Sunday. All events are free except the Friday evening dinner and Sunday workshop, which require a modest fee. The cost for all weekend events is $36. Learn more and RSVP here ​​​​​​​on Shaarie Torah's website. You can hear Joey Weisenberg's music here on his website. (12) Member Registration for "Thinking About Israel/Palestine" Closes Tuesday, Feb. 12 - February 12 marks the end of Havurah member registration for "Thinking about Israel/Palestine," which starts March 5. After that, available spaces will be offered to both members and non-members on a first-come, first-served basis. Non-members may sign up for the waiting list at any time before February 12 as well. Participants are expected to attend at least 8 of the 10 sessions, to have read up to 50 pages of material prior to each session, and to maintain an open and respectful approach to a variety of perspectives. Learn more and register here for the 4:30 pm session or register here for the 7:00 pm session. Questions? Contact Ruth Feldman at ruthtenzerfeldman@gmail.com. (13) 12th Annual Sara Glasgow Cogan Memorial Lecture: Is American Democracy in Danger?, Thursday, Feb. 21, 7:00 pm, Smith Memorial Student Union Ballroom, 1825 SW Broadway – Daniel Ziblatt has spent more than twenty years studying the breakdown of democracies in Europe and other parts of the world, and he believes that American democracy is in danger. In this lecture, he will discuss his best-selling book, How Democracies Die (co-authored with Steve Levitsky). According to his analysis, democracy no longer ends with a bang, in a revolution or military coup, but with a whimper: the slow, steady weakening of critical institutions, such as the judiciary and the press, and the gradual erosion of long-standing political norms. Using historical examples from America’s past as well European and Latin American experiences, Ziblatt assesses the threats and possibilities facing American democracy today. The good news is that there are several exit ramps on the road to authoritarianism. The bad news is that we have entered an era of extreme polarization, in which it has become harder and harder to find these exit ramps. Questions? Email Nathan Cogan, nfcogan@gmail.com. (14) There's Still Time to Register! Weekend In Quest, Friday-Sunday, March 1-3, Astoria, OR – Weekend in Quest is an exhilarating Shabbaton in Astoria, on the beautiful Oregon coast by the mighty Columbia River. Professor Naomi Sokoloff of the University of Washington will lead study sessions about "Poems and Prayers: Modern Jewish Writers Reinterpreting Tradition." 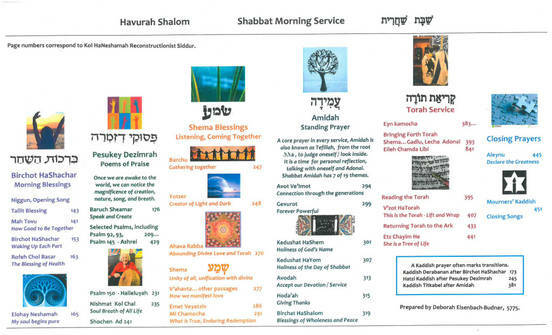 Shabbat service will be led by Havurah member Ilene Safyan. Weekend in Quest is sponsored by the Institute for Judaic Studies and co-sponsored by Havurah Shalom and many other congregations. Learn more and register here. Questions? Email Mimi Epstein at mimiepstein42@comcast.net. (15) "The Chosen People? A Film about Jewish Identity," Sunday, March 3, 3:00-5:00 pm, Havurah Sanctuary – Do you feel uncomfortable with the idea of being the chosen people? What does it mean to be chosen? How has this notion of chosenness changed over time? Why does the belief in chosenness remain so powerful among religious people in the 21st century? These are some of the questions explored in the new film, "The Chosen People? A Film About Jewish Identity." Please join the Lifelong Learning Committee for a screening of the film followed by a discussion. Learn more and RSVP here. Questions? Email berryev@yahoo.com. (16) Lift Urban Portland Needs You! – Help feed our neighbors. Havurah Shalom is one of the congregations and organizations that supports Lift Urban Portland, which provides fresh and shelf-stable food to low-income residents in northwest and downtown Portland. 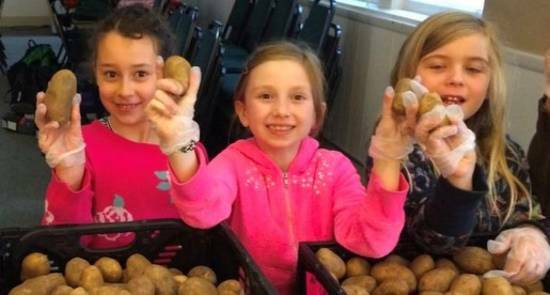 Volunteer opportunities abound, including food gleaning, packing, or delivery, nutrition classes and dinners (Supper Club), work with nearby Preston’s Pantry (1808 NW Irving), and office support (2701 NW Vaughn, Suite 102). Learn more at www.lifturbanportland.org or contact Havurah liaison Ruth Feldman (ruthtenzerfeldman@gmail.com) for more information. (17) What to Say About Immigration When You're Panim el Panim with Your Political or Philosophical Opposite – Havurah’s Sanctuary Committee has been wrestling with this thorny issue: How do we respond to statements about immigrants and immigration that conflict with our community’s welcome philosophy? We decided to develop “Elevator Talking Points” so we could feel more informed and knowledgeable about current events and be able to respond when faced with questions and statements that raise emotions and leave us feeling uncertain. We realize that we need to listen to others rather than enter into a debate and hope that having some facts at our disposal might help us be open to the "other." We hope these talking points will clarify some facts about immigration, walls, and sanctuary. For more detailed information about immigration issues, the Interfaith Movement for Immigrant Justice (IMIrJ) has provided additional resources here. We'd like to know if these are useful to you. Questions? Contact Sandy at sandylou29@yahoo.com. (18) Volunteer Opportunities at Havurah – Interested in helping out with light office work? The volunteer opportunities at this link are perfect for Havurah members who would like to spend a little time making a difference on a schedule of their own choosing. To get started, visit the link, then call or email Rachel Pollak (503-248-4662, ext. 2 or rachel@havurahshalom.org). Please use this form to submit stories for this weekly community email. Submissions are due by noon on Tuesday each week. Havurah Shalom is an engaged, vibrant, egalitarian, and diverse Jewish Reconstructionist community. Steeped in Jewish values, Havurah promotes spirituality, learning, and acts of social responsibility. Find our calendar and learn more at www.havurahshalom.org.